Getting back to the the SOURCE!! —- Check out a recent post under the “Legal” category. It is the actual wording of the Roman law creating and defining the idea of the Public Trust Doctrine…the now 1480 year old foundation of our own Rhode Island Constitutional “shore rights and privileges. 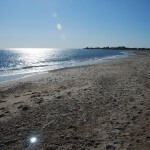 When first created, it actually gave MANY MORE privileges to the public regarding the sea shore, as well as clearly defining the shore as being DRY LAND ABOVE THE HIGH TIDE LINE! Be the eyes of our effort —- though winter doesn’t want to let go, soon we coastal wanders will be back on the shore. 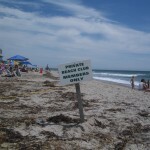 Use your phones to take pictures any time you see an example of the right of passage along the shore being challenged. Just snap a pix, no need to get into an argument, and send it it through the “subscribe” button on the home page. Include the where and when information, and we will build up an “inventory” of exemplar locations. Get ready to put your boots on the ground —- See several proposed dates for “ground truthing” locations where our citizens’ rights are being denied or threatened. To be finalized in the near future, send in those pictures! Share the news —- Find dates, times, and places of other state wide events bearing on the shore rights issue as well as sea level rise and more. 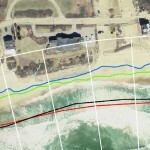 Especially note the BEACH Samp meetings…an effort to get Rhode Island prepared for the coastal changes to come. “It ain’t over ’till its over.” —- the State Attorneys General are still moving forward in their effort to expand public access in Westerly. Though ruled against in a previous stage of the effort, Mike Rubin and Greg Shultz are using a different legal path in the right direction. Next court date is coming up in the spring.